Queensland’s capital city is home to over two million people, making it Australia’s third most populous city after Sydney and Melbourne. With the most days of sunshine per year of any Australian state capital, it’s becoming a firm favourite for those who want a modern city lifestyle without the cost (and the more mixed weather) of Melbourne and Sydney. Eat Street Northshore – this smorgasbord of food, drinks and entertainment is on every Friday and Saturday night between 4 and 10pm, and on Sundays from noon until 8pm. With nearly 200 different stalls and a variety of live music, you’re bound to find something to your taste in this people watching paradise. Take the CityCat to Northshore Hamilton (the last stop) or drive to the huge car park right next door. $2.50 entry, under 12s go free. Brisbane Comedy Festival – running from the end of February to the end of March, the festival showcases hundreds of comedians across three venues. If you’re in Brisbane outside of the festival time, it’s still worth checking out those venues – Powerhouse, City Hall, and Sunpac – to see what’s on. We saw Damien Power’s full performance which was pretty good, and then went to the after hours show which gives you shorter snippets of different comedians. Angus Gordon and Joe Shaffer were particularly enjoyable, but Sam Campbell was downright bizarre and the audience felt genuinely uncomfortable at times. Mount Coot-tha Lookout and Tourist Drive – this lookout offers spectacular views of Brisbane’s CBD and beyond. There is a cafe and restaurant at the top, or bring a picnic and settle down on the grass. You can drive up (there’s free parking), catch the 471 bus from the city, or even hike. If you do have a car and the time, follow the signs for the Mt Coot-tha Tourist Drive to enjoy another 20 minutes or so of great views. For more information on things to do here have a look at this 12 epic things to do at Mt Coot-tha article. Siam Samrarn Thai Restaurant – away from the crowds, good service, big portions and plenty of veggie options. We had a starter, main and cocktail each, as well as some coconut rice, and the total bill was under $100. It would have been nearer $70 if we had skipped the cocktails. We ended up taking what we couldn’t eat away with us and had it for lunch the next day. Ben’s Burgers before a night out in Fortitude Valley. Eat Street – see above. When me and my partner went, we chose a lovely little studio apartment in South Brisbane. As the advert says, it’s clean, comfortable and close to everything – just 10 minutes to Southbank and right next to the more hipster places on Melbourne Street. There’s secure parking and a pool, and Ellie, the host, was great. It is her place so her belongings will be there, but at a little over $100 a night it was perfect for us. When a bigger group visited we stayed at Aussie Way Backpackers, a quieter hostel in a more residential area but with easy access to the city. The rooms were clean but there weren’t enough showers, and the woman at reception made checking in much more of a hassle than it needed to be. It is however around the corner from a brilliant brunch place called Scout Cafe. The airport has both a domestic and international terminal, so you can fly in from somewhere as close as Rockhampton or as far as Dubai. Once you’ve landed, pay for the door to door service of a cab ($50+) or jump on the Airtrain. We have both flown and driven in (watch out for tolls and make sure you register to avoid big fees). There is also a major train station but we haven’t used this. Once you’re in Brisbane there’s a pretty comprehensive public transport system. I would recommend lots of walking and getting the City Cat for longer distances. Not necessarily the quickest way to get around, but definitely the nicest! 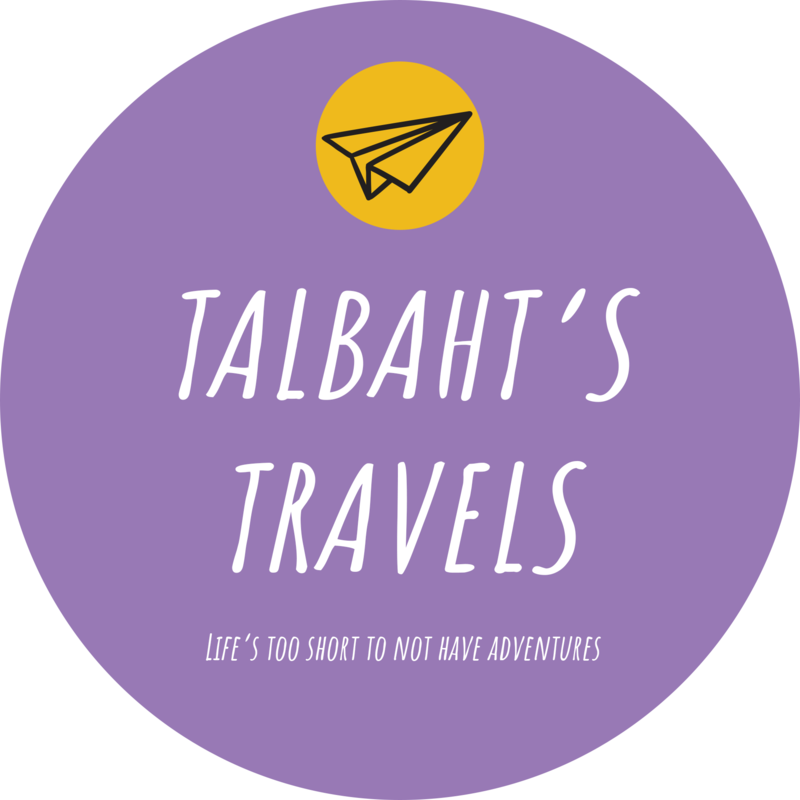 If you have any questions, want help planning a trip to Brisbane, or have an idea for a guest blog please email contact@talbahtstravels.com.